The Western Cape High Court granted an order on 24 April 2014 allowing South Africa's traditional line fishermen to fish until such time as the court finally decides the review application which was brought by the SA Commercial Line Fishers Association on behalf of its members who were summarily dispossessed of their fishing rights on 30 December 2013. The review application will in all probability be heard by the High Court in July or August. A timetable needs to be agreed between the legal teams representing the line fishers and the Minister. However, the Minister and Mr Desmond Stevens (who was the acting DDG responsible for the decision to exclude 335 of the 450 traditional line fishers) continues to refuse to make available the full record that underpins the FRAP 2013 decision-making process. The court order granted on 24 April 2014 was effectively taken by agreement between the parties as the Minister and Stevens had failed to file any answering papers (even though they initially indicated that they would oppose the relief we sought in terms of Part A of the review application). It is worth noting that the Masifundise Development Trust has made application to the same Court to be allowed to be part of the review application as an "intervening party". This application to be allowed to be an intervening party will be argued on 12 June 2014. "The 2001-2007 repair and maintenance programme, to the value of R440 million, restored all 12 harbours to an excellent condition. A regular, planned maintenance programme implemented immediately would have consolidated this upgrade of harbour infrastructure." Between 2007 and the present, very little harbour management and maintenance have been carried out. 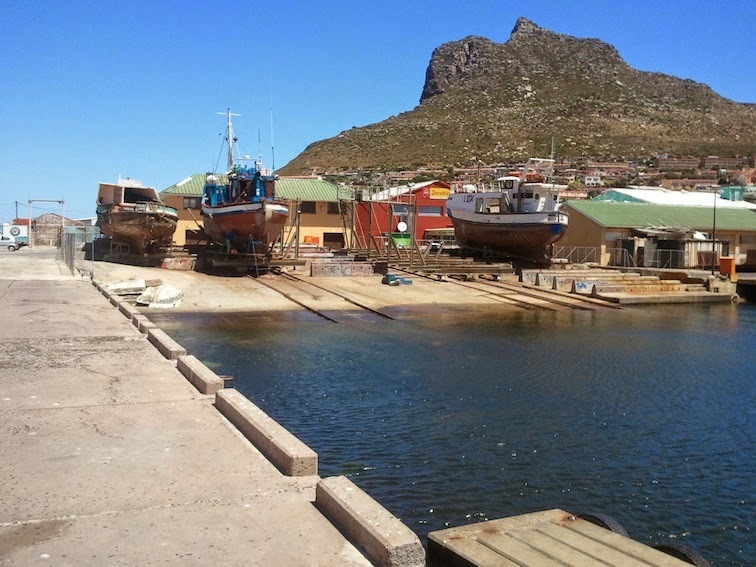 Some harbours such as Kalk Bay and St Helena Bay are in much better state than others but remain poorly managed and under-utilised with very little effective utilisation of sea space for small-scale fish farming and other entrepreneurial local economic development. Feike has for some time raised the shocking state of our fishing harbours. The most notoriously mismanaged fishing harbour has to be the largest one too! 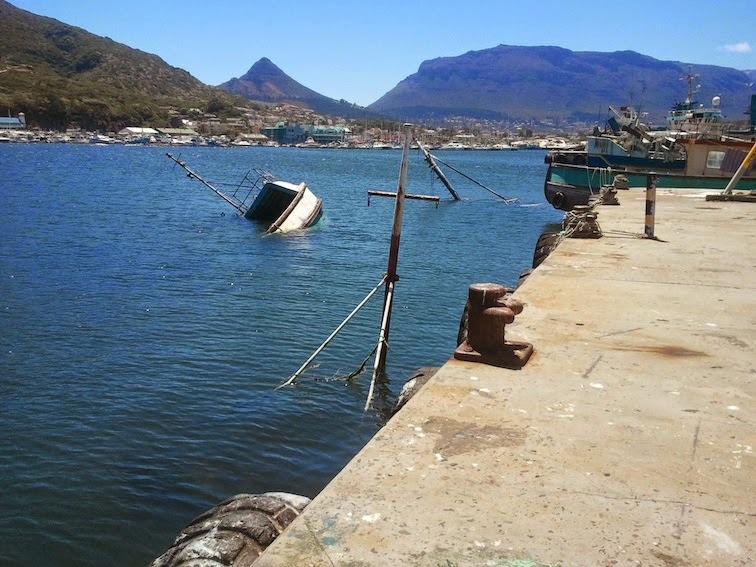 Hout Bay harbour is in a dreadful state. 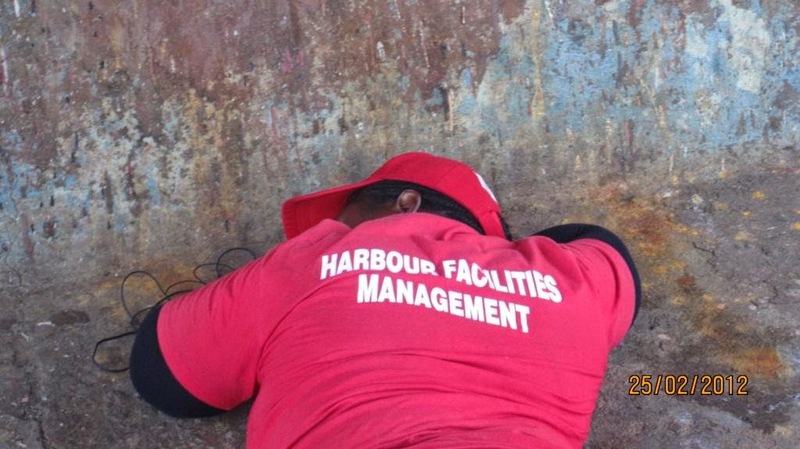 Under the joint maladministration of the fisheries and public works departments, the harbour has degenerated into a centre for organised crime and illegal fishing. 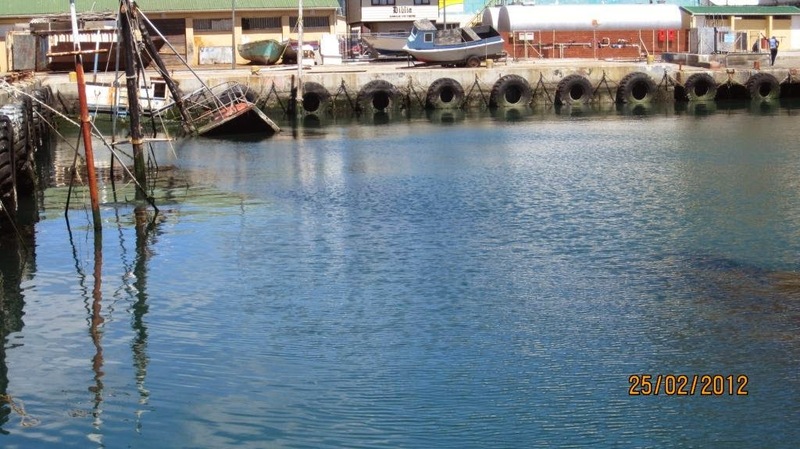 Consider the pictures below of Hout Bay harbour and the sunken wrecks that pollute the repair jetty area preventing access to vital harbour space. 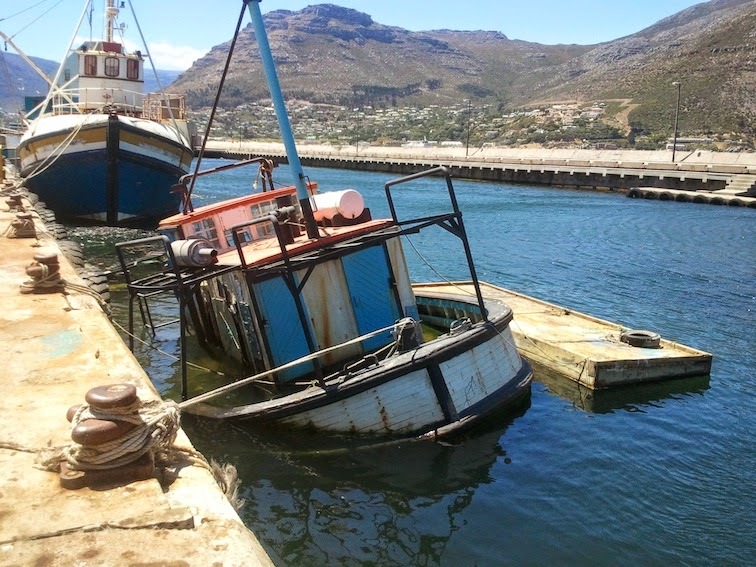 Hout Bay harbour is a classic case study of harbour mismanagement. Fishery control officers are known to openly turn a blind eye to the most blatant forms of abalone and lobster poaching. 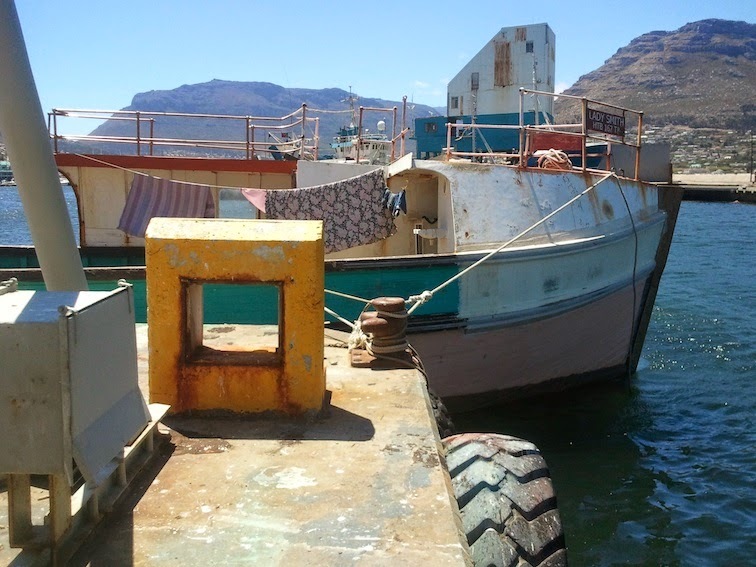 Criminals operate freely in the harbour and no boat is safe from being stripped bare overnight by the marauding thugs and drug addicts that easily access the harbour precinct. You can regularly observe abalone and lobster poachers offload their catches within a 100m of the fishery control office and then wave goodbye to the FCO's with their illegal catches in tow. The harbour begs to be developed into a proper working fishing harbour, supported by small-scale community-based fish farming ventures (such as mussel and oysters) and complemented by a flourishing tourism economy. The Marine Living Resources Act of 1998 (MLRA) states that the Fisheries Minister has the authority to proclaim certain harbours as "fishing harbours". However, the South African Constitution makes it quite clear that the regulation and administration of all harbours (other than the regulation of national and international shipping) vests in local governments and not with national government. The argument therefore is that fishing harbours should be administered and regulated by the applicable local government authority in whose jurisdiction the harbour is located. We would certainly support this view. 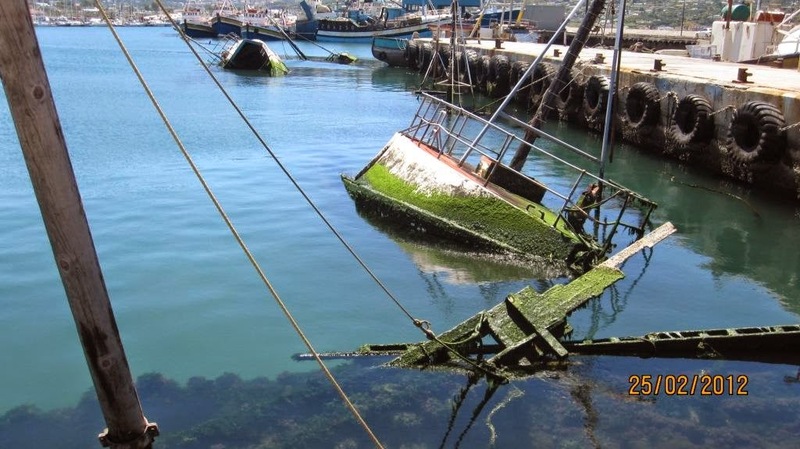 This would allow competent and effective local municipalities to unlock the incredible value of our fishing harbours and to put in place measures to prevent them from being used as convenient thoroughfares for various types of organised crime. Greenpeace Africa has advised Feike that the MV Alma has now abandoned its plans to berth at a South African port and may instead be seeking permission to enter Port Louis, Mauritius. It was supposed to have come into Durban Harbour this morning at approximately 11am, according to Greenpeace. A number of persons have commented that whale (and therefore whale meat) is not "fish" but a marine mammal and, therefore does it not stand to reason that the Marine Living Resources Act does not apply and that DAFF is therefore correct that it does not have authority over the "whale meat" and the ALMA? ‘‘fish’’ means the marine living resources of the sea and the seashore, including any aquatic plant or animal whether piscine or not, and any mollusc, crustacean, coral, sponge, holothurian or other echinoderm, reptile and marine mammal, and includes their eggs, larvae and all juvenile stages, but does not include sea birds and seals". Accordingly, the MLRA essentially does not apply to sea birds and seals only. The management of these animals are regulated in terms of a separate piece of legislation. ‘‘fishing vessel’’ means any vessel, boat, ship or other craft which is used for, equipped to be used for or of a type that is normally used for fishing or related activities, and includes all gear, equipment, stores, cargo and fuel on board the vessel." 2. Accordingly, the MLRA defines a fishing vessel broadly to include "any vessel, boat, ship or other craft" equipped to be used for inter alia "related activities". (d) exporting and importing fish or any fish product". For these reasons, the South African fisheries department had a positive obligation to not only ensure that the MV Alma had on board only legally harvested whale meat but that it did not have on board any other possible illegally harvested or prohibited fish species and products. 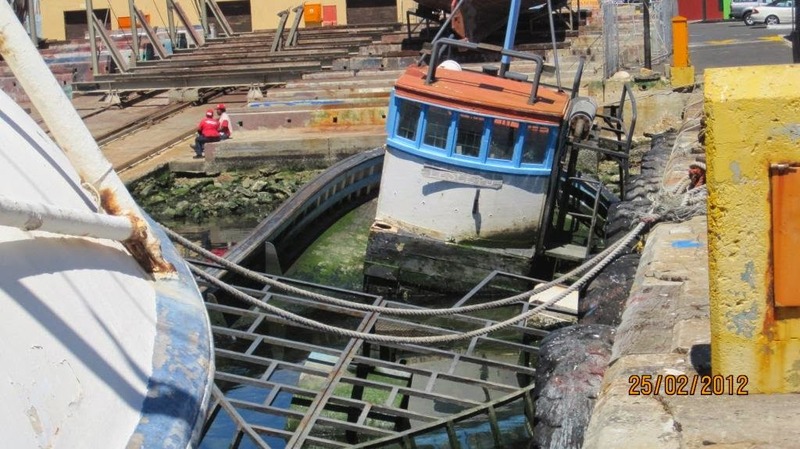 This vessel was after-all sailing through South African waters. Mindful of the fact that South Africa is vehemently opposed to the practice of whaling and of our national and international obligations regarding responsible fisheries and fishing practices, the Fisheries Department ought to have boarded the ALMA and inspected the vessel and not permitted it entry to our territorial waters. DAFF failed on both counts, once again confirming just how unprotected South Africa's national and international fishing interests are. The South African government's Fisheries Department appears to be actively aiding and abetting an Icelandic vessel carrying 2000 tons of whale meat that is currently seeking entry to either the Ports of East London, Durban or Richards Bay. The initial information provided to Feike on 12 April was that the vessel was seeking entry to PE harbour. 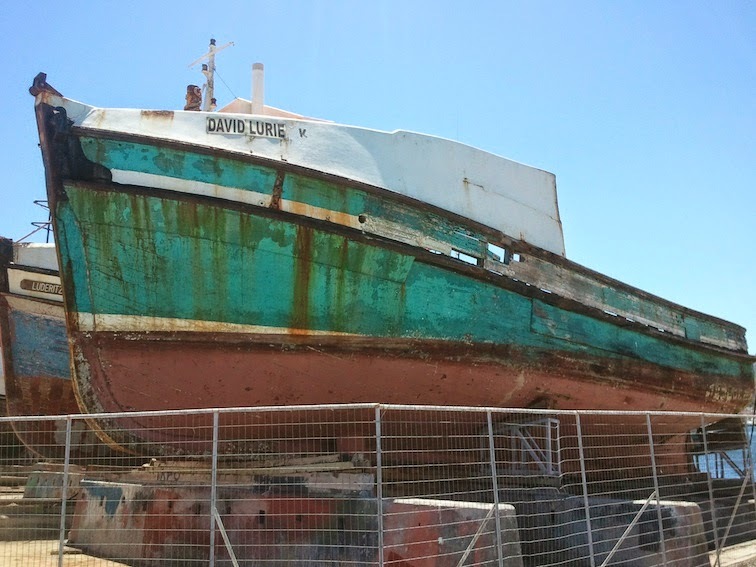 When Feike began seeking the intervention of DAFF during the course of 12 April 2014, DAFF's bewildering response was that it would do nothing because the vessel - The Alma - IS NOT A FISHING VESSEL! #DAFFisheries will no longer entertain #Alma on Twitter and refers all media queries to its spokesperson. @Feikemanagement #ALMA is a cargo ship, transporting whale meat not caught in SA waters. According to #MLRA there is nothing #DAFF can do. See the entire conversation with DAFF regarding the ALMA here. DAFF's last tweet is of course the typical admission of failure and an inability to debate the matter - ie. that it will no longer entertain any further discussion on the Alma! The Marine Living Resources Act is clear. Any foreign-flagged vessel carrying fish or fish products, whether this fish is caught on the High Seas or in the waters of another coastal state, must be authorised by DAFF to enter South African territorial waters, including any harbour. This obligation arises from the Port State Measures Agreement as well. South Africa is a signatory to this agreement and has clearly failed to implement it and adhere to its international obligations under the FAO Code for Responsible Fisheries. DAFF's statement that it cannot act against the ALMA because it is a "cargo ship" is simply hogwash. Either DAFF's officials are again confirming their basic ignorance of South African and international fisheries laws or they are actively abetting this vessel. South Africa of course has never before hesitated to inspect and require any vessel carrying fish products to comply with the provisions of the MLRA. So we must ask why has DAFF placed its head so deeply in the sand with respect to the ALMA? DAFF's twitter statement of course will have the unintended consequence of allowing any vessel - provided that it does not refer to itself as a "fishing vessel" but calls itself a "cargo vessel" or anything else - unregulated entry to an SA port! On DAFF's unlawful understanding of its own obligations as a regulator, a reefer vessel with 2000 tons of shark fins or Patagonian tooth fish caught in another state's waters will be allowed unhindered access to our waters and ports! This of course will make an absolute mockery of our international obligations under, inter alia, the PSM Agreement. Where are the Fisheries Minister’s "Listening Sessions"? The Democratic Alliance wants to know where the Fisheries Minister, Tina Joemat-Pettersson, is. We do know that she popped up to attend the recent news conference held by Oceana when South Africa's largest fishing company announced a massive dividend pay-out to its employee trust. But, the Minister told us back in February when she desperately tried to head off the urgent court application by the traditional line fishers that she would be starting a series of "listening sessions" with fishing communities. As with all prior undertakings by Joemat-Pettersson, even these have failed to materialise. Now, she has seriously angered fishing communities by issuing dates and times for these meetings ... and then failing to pitch up! And what is worse, the scheduled "listening sessions" sees the Minister attending two meetings a day at different venues at the same time! Talk about putting pressure on the infamous Ministerial Blue Light conveys (or mind-numbingly expensive chartered flights zooming from one poor fishing community to another)! When we asked the Minister's spokesperson what was going on here and why her Minister was failing to pitch up at these meetings (for example, on 26 March the Minister was supposed to be "listening" to Lamberts Bay and Mossel Bay fishers at the same time), we were simply told that the timetable below is a "wrong document"! But it is document issued by the Fisheries Department and was circulated by DAFF staff. @Feikemanagement @Palesa_Mokomele @PietervanDalen It is misleading to suggest dates for Ministerial Listening Campaign have been confirmed. @DAFFisheries @Palesa_Mokomele @PietervanDalen But I have a DAFF document stating these dates, times and venues. @Feikemanagement @DAFFisheries @PietervanDalen you got a wrong document. The department issued an SMS text last week informing interest groups that the Minister would be attending a "listening session" in the Strand. Many fishermen decided to stay on terra firma and not go fishing so they could be heard. What happened? Yep, the Minister did not pitch. Dont expect the Minister to attend any of the 3 remaining "listening sessions". Members of the South African Abalone Industry Association - a deeply divided and moribund association - have confirmed to Feike that with less than 4 months to go before 303 abalone fishing rights terminate, the department of fisheries continues to operate with its head firmly in the sand. DAFF has not even begun preparing for what will be a hugely contested and controversial rights allocation process. DAFF had refused to even place the subject of a rights allocation process on any of its 2013 management working group meeting agendas. If the 2013 FRAP has imploded into a cesspool of corruption, failure and maladministration, it is hard to comprehend the degree of disaster awaiting any abalone rights allocation. What will happen come 30 July 2014 when 303 abalone rights terminate? More joblessness? Uncertainty, pandemonium, corruption? Rights being haphazardly allocated to party cronies and leaders of organised criminal gangs; rampant poaching that may finally be the death knell for any legal fishery? Unfortunately, that appears to now be guaranteed. There has not been any policy review process; no analysis of whether the 2003 policy objectives have been met or not and why? During the whole of 2013, DAFF's compliance staff did not attend a single management working group meeting. What we do know is that abalone poaching is now well and truly completely out of control (as admitted by DAFF during a portfolio committee meeting in 2013) and DAFF is one of the principal beneficiaries of abalone poaching as it continues to profit massively from the sale of illegal abalone. Tragically, the only reasonable prognosis is more of FRAP 2013 at the very best. And let us not forget about the 2015 fishing rights allocation processes in crucial fisheries such as mackerel, inshore trawl, lobster, seaweed, large pelagics etc. 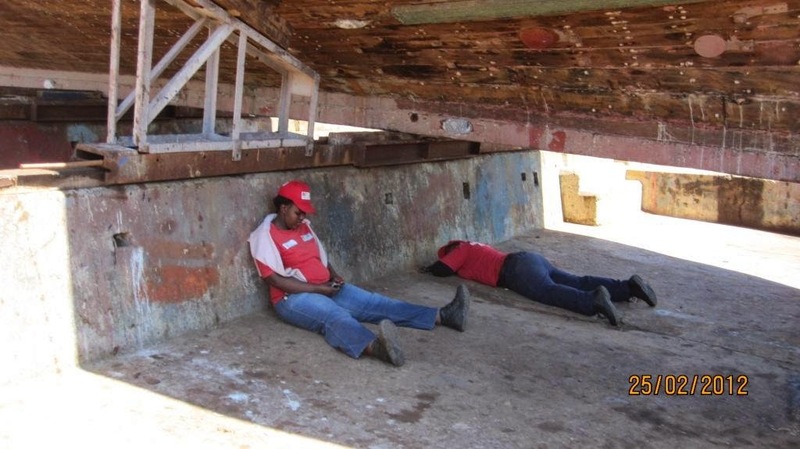 Preparations for these processes are already some 6-8 months late and don't expect any progress between now and May 7 (the General Elections) as CADRE civil servants will be too busy trying to vie for political support and votes as opposed to managing fisheries. The South African fishing industry had better wake up before FRAP 2013 magically morphs into FRAP 2015. Interim Line Fish Quotas for Squid Fishers? WTF! It appears that the Department of Fisheries has forgotten that its mandate is determined by Section 2 of the Marine Living Resources Act. It is supposed to be committed to the sustainable management of our marine resources, having due and proper regard to internationally recognised management principles such as precaution and decisions based on the best available scientific evidence. We understand that the Department is now proposing to allocate interim relief line fish quotas to squid fishing crew because of a closed season that has been urgently agreed to for the months of April, May and June as a result of the precarious state in which the squid resource finds itself. The Department of Fisheries is not a social welfare agency and by allocating "interim relief" line fish quotas to squid fishing crew it is acting unlawfully and beyond its mandate. The line fishery is already a fishery managed in terms of section 16 of the MLRA (it is the only fishery recognised to be in an environmental emergency) and the fishing effort is fully allocated in this fishery. In other words, a responsible fisheries regulator, respectful and mindful of its legal obligations under section 2 of the MLRA, ought not to be handing out fishing quotas as if it is a welfare organisation. Unemployed squid fishing crew are supposed to be assisted by the state via the Unemployment Insurance Fund not unlawful handouts of line fish rights! Further, what do squid fishers know about line fishing? How will they go fishing for line fish without fishing vessels? If they are so poor that they cannot afford to make daily ends meet, how will they fund a line fish operation (bait, ice, fuel, insurances etc)? We would therefore expect the Acting DDG of DAFF to urgently recognise that the line fishery is a fishery in environmental crisis; that effort is already fully allocated in this fishery; and that it is nonsensical and impractical to even consider allocating "interim relief" line fish quotas to squid fishing crew who do not know how to catch line fish and who certainly do not have access to line fish vessels and the operational capital to undertake line fishing. Further, any allocation of "interim relief" would be irregular and unlawful as access to fish stocks can only be allocated in terms of section 18 of the MLRA, read with section 13. Section 81 (the frequently abused "exemption" provision) does not allow for such an allocation of "interim relief permits". Our fishing resources are not to be utilised for political ends and as a social welfare mechanism. The International Seabed Authority is starting a process of stakeholder consultation in advance of developing draft regulations for the exploitation of polymetallic nodules. The consultation includes issues relating to the environmental management of deep-sea mining. Goldfields, a South African bullion company, decided back in 2009 to invest in trout farming in Lesotho under the name, Highlands Trout. The company had identified the pristine cold waters of Katse Dam to farm trout. Highlands Trout is now producing 2000 tons a year of trout for the Japanese market. By way of comparison, South Africa produces about half of that in trout and a total of just over 4000 tons of farmed fresh water and marine fish despite the fact that we have a 3000 km coastline and multiple fresh water dams and water bodies. When Goldfields decided to invest an estimated R100 million in the project back in 2009, Lesotho did not feature as a trout farming country, let alone an exporter of prime quality fish capable of sale on the lucrative Japanese market. More importantly, Lesotho lacked a basic regulatory framework to sustainably manage fish farming in fresh water bodies such as Katse. And of course Katse Dam was built principally to provide drinking water to South Africa's Gauteng province. Accordingly, managing water quality was and remains a key criterion. The provision of water for fish farming is a secondary function of the dam's waters. The management authority for Katse Dam is the Lesotho Highlands Development Authority. LHDA and the Lesotho Government immediately recognised the huge potential of this investment for Lesotho as a country. In May 2010, Feike was appointed, together with Norway's former fisheries minister and then Chairman of the FAO Aquaculture Sub-Committee, Svein Munkejord, to design a comprehensive regulatory model and framework to allow the Highlands Trout investment (and others) to become a commercial reality. Within less than 6 months, we designed a complete regulatory framework for fresh water fish farming for Lesotho and waters controlled by LHDA (including Katse), as well as a "fish carrying capacity" calculator for fresh waters, which allows users to calculate the safe fish farming carrying capacity of fresh water systems. The regulatory model was drafted with principal objective of creating a "one-stop-shop" for the evaluation of issuing of fish farming licences, allowing for minimal red-tape and delays. The result of course is this tremendous success story. The lesson is clear. Investors will invest provided you give them regulatory and policy certainty and you remove the unnecessary red-tape and obstacles. With a single investment in a fresh water farming facility, Lesotho now produces 50% of South Africa's entire annual farmed fish production and double South Africa's entire trout production notwithstanding the fact that we not only have substantially more financial resources at our disposal, but we have multiple water bodies for fresh water fish farming and some 1 million square miles of ocean space! South Africa has been "talking" about fish farming for years. We have been saying that fish farming is important and how it can provide "alternatives" to wild fish harvesting, but the Fisheries Department's commitment to bureaucracy and an increasingly unfriendly business attitude has ensured that South African investors invest abroad in country's like Lesotho and Namibia or simply keep their cash invested elsewhere. Postscript: Port Nolloth Sea Farms Ranching, a long-standing Feike client, that was allocated a 10-year abalone sea ranching right in late 2012, became the first abalone ranching right holder to commence with the planting of abalone off the Northern Cape coast earlier this month.